Family households headed by unmarried women with investable assets >$100,000 are projected to increase on a national basis through 2015, making them an attractive segment for financial services marketers. The New York metro will remain the largest market for this segment through 2015 despite a projected decline. 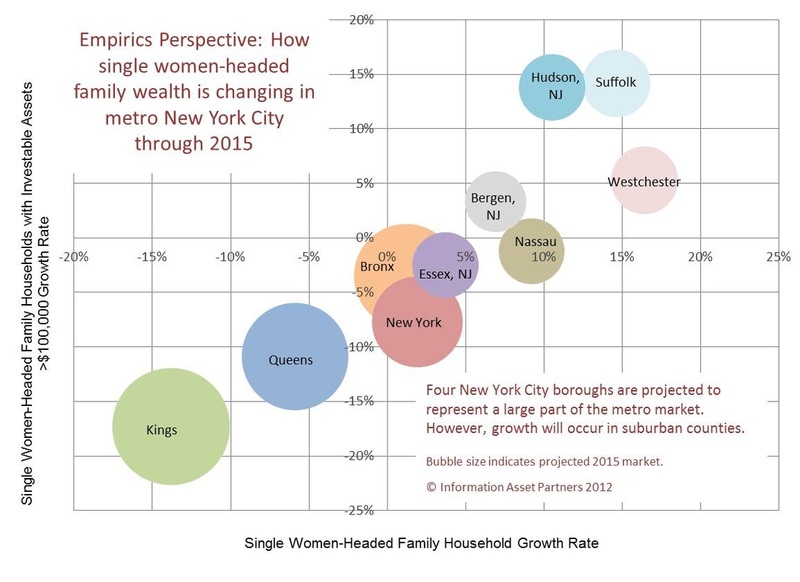 Growth in suburban New York and New Jersey counties will partially offset declines in the large NYC boroughs, Kings, Bronx, New York, and Queens. Chart shows the ten largest New York metro market counties. Click image to enlarge. 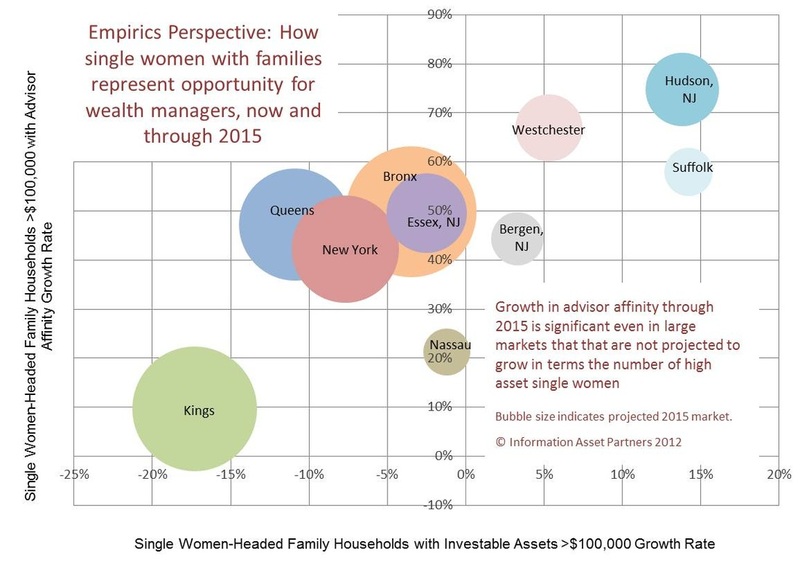 Wealth managers should expect to attract more assets within the single women-headed households having investable assets over >$100,000. As measured by Empirics’ financial advisor affinity metric, metro New York’s current market is projected to increase significantly through 2015. Notably, only Kings and Nassau counties lag among the major counties. Even counties that are expected to decline in terms of segment households with assets show projected growth over 30%.